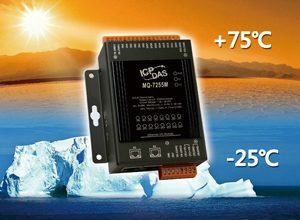 The MQ-7200M series is a web-based Ethernet I/O module equipped with a built-in web server allows the user to configure module and control/monitor the status of digital I/O by simply using a regular web browser. Support for MQTT protocol makes it easy to connect sensors to Industrial Internet of Things (IIoT) system via the MQ-7200M series module. Users can simply and effectively control/monitor remote sensors with MQTT client tools on the PC/NB or mobile devices. MQTT stands for Message Queuing Telemetry Transport. It is a machine-to-machine (M2M)/”Internet of Things” connectivity protocol with extremely lightweight publish/subscribe messaging transport. It is useful for mobile applications because of its small size, low power usage, minimized data packets, and efficient distribution of information to one or many receivers. Various I/O components are mixed with multiple channels in a single I/O module, which provides the most cost effective I/O usage and enhances performance of the I/O operations. The MQ-7200M Series has a built-in two-port Ethernet switch to implement daisy-chain topology. The cabling is much easier and total costs of cable and switch are significantly reduced. LAN Bypass feature guarantees the Ethernet communication. It will automatically active to continue the network traffic if any one of the MQ-7200M looses its power.